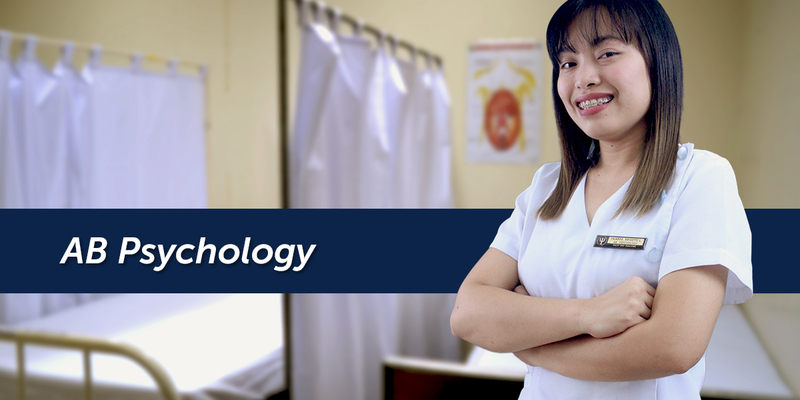 AB PSYCHOLOGY – (AB PSY) is a four year degree program that helps students understand human behavior and different thinking processes through the use of basic scientific principles and Psychological theories. AB Psychology is the scientific study of behavior and mental processes. In general, the emphasis is on the individual person and how the person’s mental processes and behavior are affected by internal, relational and social factors. Psychology as a discipline and professional practice contributes to national development through basic and applied research and intervention aimed at solving problems and promoting optimal development and functioning at the individual, family group. Organizations/institution community and national levels. The undergraduate courses in psychology provide initial training for those interested in teaching, research and the practice of psychology. Furthermore, they provide preparations for graduate studies in psychology as well as further studies in other professions such as medicine, law and business management. Graduate of AB Psychology program could be licensed Psychometricians, Academicians, HR Personnel and or Researchers. Graduates may also pursue careers in Medicine, Law, Management aside from specializing in Clinical, Educational and Industrial Organization Psychology.